Today I have something super exciting to share with you – it’s something I’ve been hoping to give my readers for a long time. 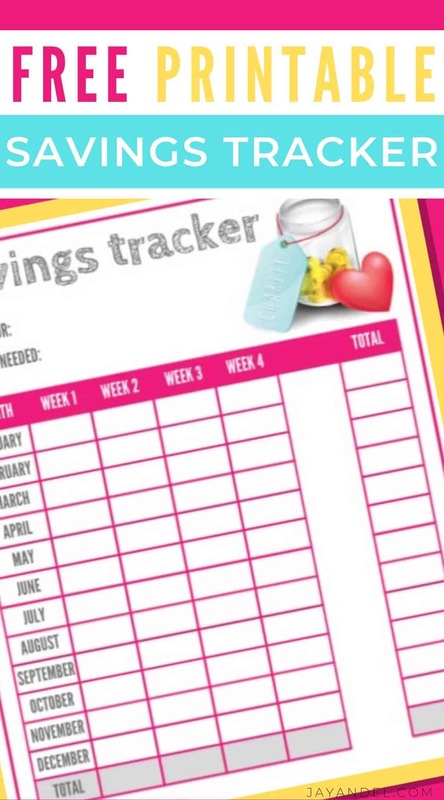 A vibrantly colored printable tracker to inspire you to save! I see all these super colorful ones on Pinterest all the time. BUT guess what… Now I have my very own! 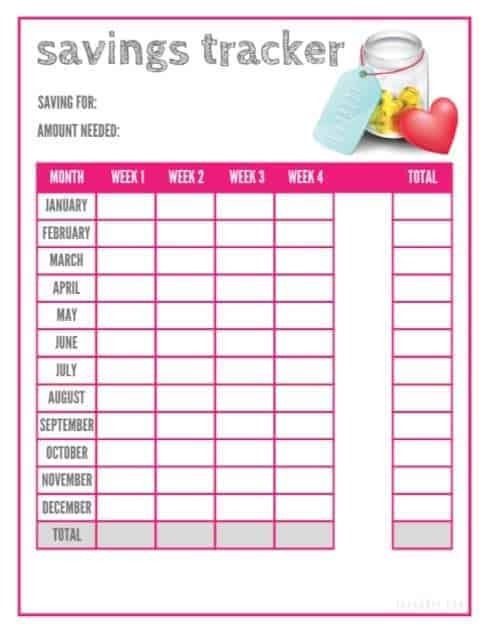 Are you super excited to download and start using this free printable savings tracker? Find out how to download and print this savings tracker below. The SAVINGS TRACKER helps you track your savings. Fill in how much you are saving weekly for each month and total up your savings amount for the year. Un-dated so it can be used for any month or year. Saving money can be hard, especially if you are not in the habit of saving. If you’re wondering where to start when it comes to saving money, I have a few tips and posts that might be helpful before you rush off to print this savings tracker! Find the five things you should absolutely be saving for right now! These 10 money saving tips you can implement right now for immediate savings. Find out how easy it can be to save money on your groceries without using coupons. Declutter AND make some cash at the same time! Also, why not consider starting a blog to earn a little extra cash. Click on the image below to download this to do list as a PDF document and print it out on 8.5 X 11 Letter Paper. My printables are free of charge, but I do ask that you share my printable savings tracker post with all your friends on Facebook and Pinterest! You can use the handy little icons below this post to do so.